Trumac Healthcare is one of the leading Levetiracetam Tablets Manufacturers Suppliers all over India. WHO:GMP Certified Third Party Contract Manufacturing also available. 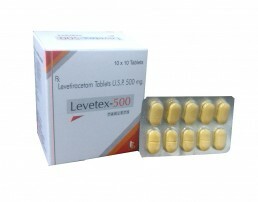 Levetiracetam is used in the treatment of epilepsy/seizures. Levetiracetam is antiepileptic medication. It works by attaching to specific sites (SV2A) on the surfaces of nerve cells. This suppresses the abnormal activity of the nerve cells in the brain and prevents the spread of electrical signals that cause seizures.